Enjoy the best, old songs like Jo Wada Kiya Woh Nibhana Padega Lyrics in English, Hindi, Hinglish. Get English translation of Jo Wada Kiya Woh Nibhana Padega lyrics. Enjoy best and popular old songs and videos. 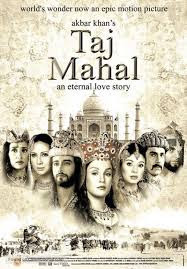 This song is from Taj Mahal movie and sang by Lata Mangeshkar and late Mr. Mohammed Rafi. This song was very famous and more popular among the old song lovers. If you love listening to then you might love sharing it as well. If you are looking for Jo Wada Kiya Woh Nibhana Padega lyrics in Hindi fonts only then enjoy our work on the biggest hit of the old time. Just enjoy and share it with friends. Can read: Desh bhakti song, Chhodo Kal ki Baatein Lyrics. If you are looking for the English fonts of the same Hindi song lyrics then enjoy and appreciate our work. Though this song is heart touching still we loved writing every line of it for you guys. Appreciate our work and share it with friends who are in love. Jo Waada Kiya Woh Nibhaana Padega. Jo Vaada Kiya Woh Nibhaana Padega. Jo Waada Kiya Woh Nibhana Padega. If you would like to share the English translation of the famous song then enjoy our work. Here we have tried our best to give proper wording that will give joy to our English readers. Hopefully, you will enjoy our work and will share it with friends and in a network. You have to come and live your promise. Whoever will give a call, other should come like crazy. You should live your promise. You will see three different styles of Jo wada kiya woh nibhana padega lyrics in Hindi, English, and Hinglish. If you enjoyed reading our Hindi song lyrics then share it with friends on social sites like Whatsapp, Facebook, Twitter and etc. If you have any query or suggestions then write to us otherwise, like us on Facebook or tweet for us. It will motivate our team to add English translation for Hindi song lyrics.